Dojang 道場 - where we practice 'the way'. Colin Wee adopts the opening salutation from Sip Soo or Jitte, an Okinawan pattern from around the 18th century. 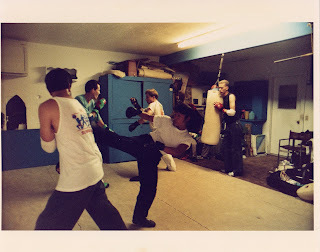 In the background are cleaning implements hanging up on the wall of his garage dojang. This black belt training session circa 2013 was led by Kyoshi Gary Simpson of Zanshinkai Karate, an 8th dan Shotokan Karate instructor. To many it is the venue you go for your two weekly classes of Taekwondo where you dress up, go exercise, learn how to kick and punch, struggle to remember patterns, and spar with opponents. One of the early interpretations I've come across is that a dojang is a meditation hall. It is a place where you contemplate your journey along the way or your study of '道'. 道 is not an academic subject - it is an inner journey which you embark on. Thus it can be an activity steeped in tea, or Japanese chess, or playing the shamisen, or practicing the way of the sword, or engaging in some form of mudo like Taekwondo. Joshua Lay, currently Shodan, during his 4th gup belt grading in 2014. We invited several black belts from external schools to come help us with the sparring component of his grading. Josh had to fight multiple fighters from Goju Ryu Karate, Chinese Kung Fu, Taekwondo, and Muay Thai - both singley and in multiple opponent rounds. The sparring component itself spanned at least an hour. This was only one obstacle along his way. The venue of the dojang is really any place designated for you to immerse yourself in mental, physical, or spiritual contemplation. It could be that secluded wooden structure in some idyllic woods, or a basketball court in some gym, or even a garage in Western Australia. When I talk about Taekwondo, I take an older and quite unfortunate definition, and paraphrase it to say 'tae is to kick with the feet, kwon means to smash with the hand, and do means to train with the mind.' 道 in this case of course does not transliterate to "train with the mind" but this does hint at the mental state which is valued by those on the path. Do ultimately creates layers of its own definition whilst the individual is pursuing some form of introspection. It may take on a spiritual context, but really it is a pilgrimage with an indeterminate end point. The purpose is to submerge yourself in the journey to simply see how it unfolds, to discover its rewards by using its trials for self-improvement. 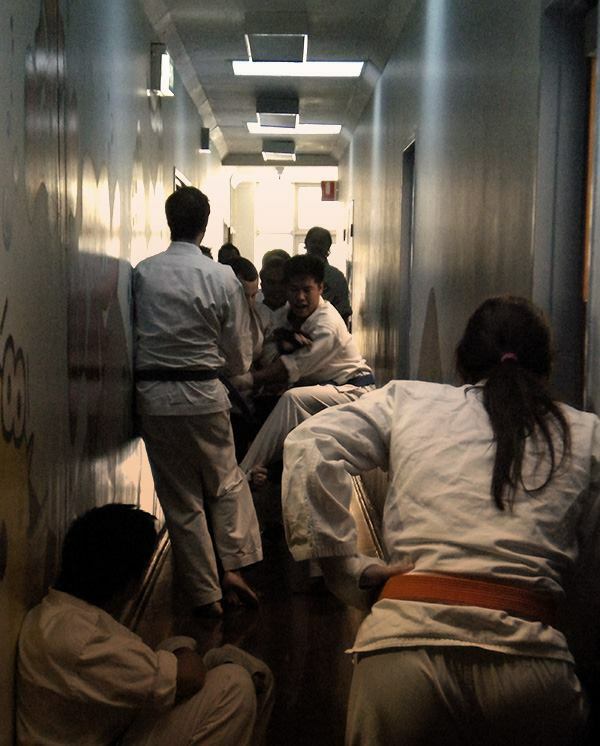 Niaal Holder, currently 3rd Dan, faces a corridor of opponents determined to not let him pass. The way in martial arts is often analogous to these physical analogies. In this case, Niaal had to overcome an impossible challenge, and going beyond it allows the individual to reflect on this success. He could of course choose not to do it. At which time the grading would be cancelled, he would most likely quit the school, and discover that no one really cares. Of course the instructor bears each student's burden in his own way. But after all, this journey is a personal one - and you can choose to see the positive or you can dwell on the negative. It is up to you. As a side note - just look at the energy in that photo. Can you locate the two grading students? Like other events on the path, it's hard to really capture the essence of what an individual takes away on their own subjective journey. The martial arts dojang is a nurturing and safe place. It has to be preserved as a safe place through the tenet of self-control. There are two ends of this spectrum of self control. One is that practice can be dangerous and lethal. So we study techniques with 'the safety on' and we do want to ensure the wellness of all student practitioners within a controlled environment. At the other end of the 'self-control spectrum', the dojang is also a place which challenges each student at every turn. This is in order that practitioners to focus and eventually perform feats they were not capable of when they started. We gradually desensitise student practitioners to physical intimidation, proximity, and pain (within reason). 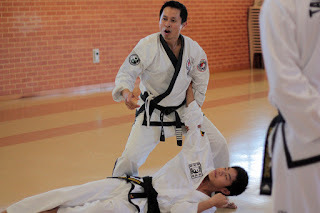 Superficially, these challenges are physical, but the truth is there are mental and spiritual challenges that they will need to push through in order to reap the benefit of martial art training. As the student encounters these obstacles and pushes past them, they grow as practitioners and as individuals. The ascension through these events occur at similar points for each student, though individuals may experience them in their own time frame. Proctor Dojo. Sensei Mike Proctor invited me to his garage dojo in 1991, a year after this photo was taken. Participants go there, fight for 3 minutes and rest for one. No rank is issued. Class does not a really consist of a 'formal' lesson plan. I remember my first session vividly. It really was a meeting point where my inadequate training, faulty assumptions, inexperience, came to face an acid test of opponents who were uncompromising in their own practice. I was kicked into the wall and clipped into place by the cracks holding on to my t-shirt. I was on the verge of tears as Mr Proctor asked me if I was okay. All I could do was will myself to stand up, and press on. And I think that was one of the truest ways I believed I earned my black belt. No one can take it away from me. Go past your fears. Win the day. Become a stronger person. Or retreat. Quit. Taekwondo is not for everyone. Many cannot even think to join the dojang for fear of the rigorous training and their own inadequacy. Embark on the way, have your weaknesses exposed like a raw nerve, then quit, and maybe feel worse than worthless. In truth, no one will think less of you either in the dojang or outside either way - unless you decide to betray your own fears and your misgivings. For parents who are concerned for their children, we invite you to understand more of these issues. To answer the question Should Children Get Struck in Practice. But if you are uncomfortable with this manner of training, please do not bring your child to Joong Do Kwan. There are many institutions in Perth which provide adequate child care facilities; that has never been our mission. It is an interesting relationship between those who are young in the path and those more experienced. Juniors are depending on their guidance, yet the guidance may come in a form you are not exactly expecting. The trainee may then form an impression of this senior based on some 'real world' or 'civilian' measure which is inappropriate for the practice of Taekwondo. 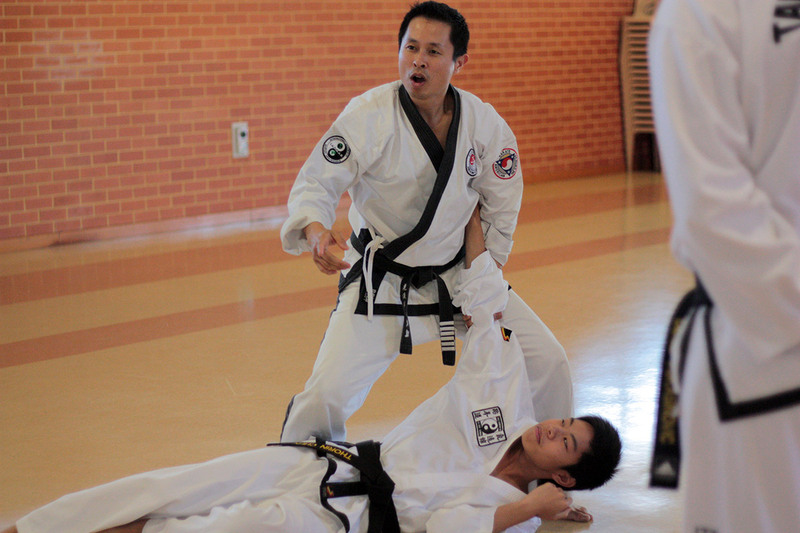 In this photo, guest instructor Colin Wee teaches at Kidokwan Perth. He has taken a fellow black belt down to the ground and is in the process of applying an elbow lock or some strike whilst the opponent is unable to counter. 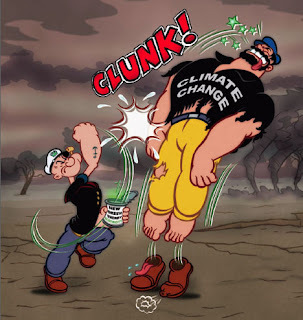 At the same time, you can see that he has held the opponent up so that the resulting impact with the ground would not be dangerous, and his knees are hovering above the opponent's ribs, not smashing into them - it is important to maintain Training Safety! These two sides of the coin are what characterises the dojang - and should be something all practitioners need to reflect on as they nurture themselves and others on the way. The path may follow you out of the dojang! To let it weigh you down, or to use it to raise yourself up ... how you interpret the phenomenological world is entirely up to you. As an instructor, I can help you along the way, but your journey is yours to travel. What are your fears, and how do you manage them? Do you avoid them? Have you confronted your fears? Can you see a time where you have dealt with a fear and moved on? Have you met a person who exudes a different 'energy', a quiet confidence, or has an unexplained presence about them? How do you think this can be achieved? 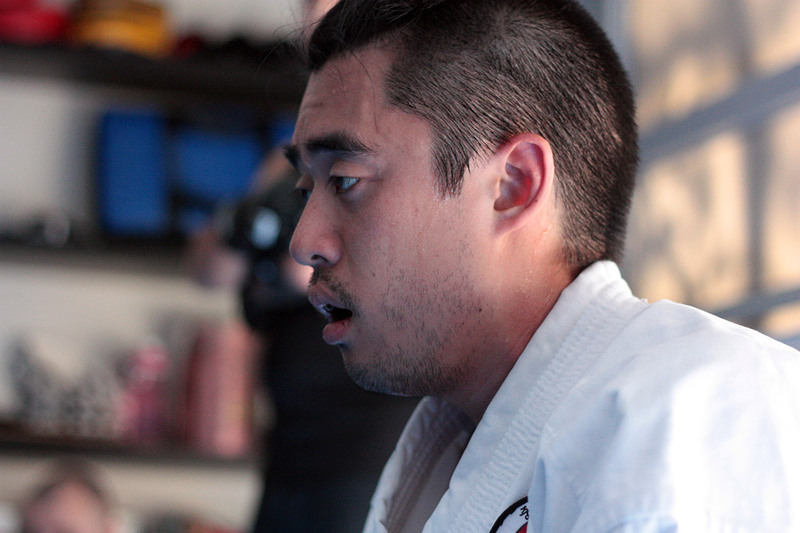 What do you think you need to do to earn your black belt one day? Or if you are already a student practitioner, what do you need to do to become a master of your art? An expanded version of this article was submitted to Totally Tae Kwon Do Magazine. Please also read Tenets of Taekwondo and Dojang Etiquette. Deliberately losing your sparring match, but not your game. I modified this article to include more information pertaining to desensitisation training. Especially for children. I don't really want to come across as deliberately torturing young children but we do gradually expose them to physical intimidation and proximity. This is essential in real martial arts training. And while we do have a duty of care, we will apply such challenges age-appropriately to all students who visit our school. So parents who are concerned should talk to us about this, or put their children in other schools which do not do this.